Hi friends! I want to apologize in advance for how quick this post is but can't take too much time away from studying for my 2 finals today but also didn't want y'all to miss out on a pretty amazing sale! 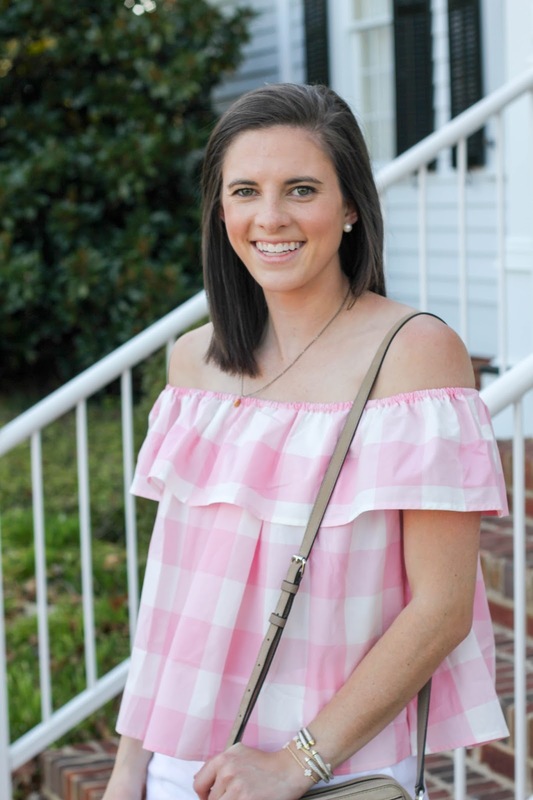 Lauren James (most recently talked about here) is hosting a huge sale on their site right now with some pretty amazing discounts. 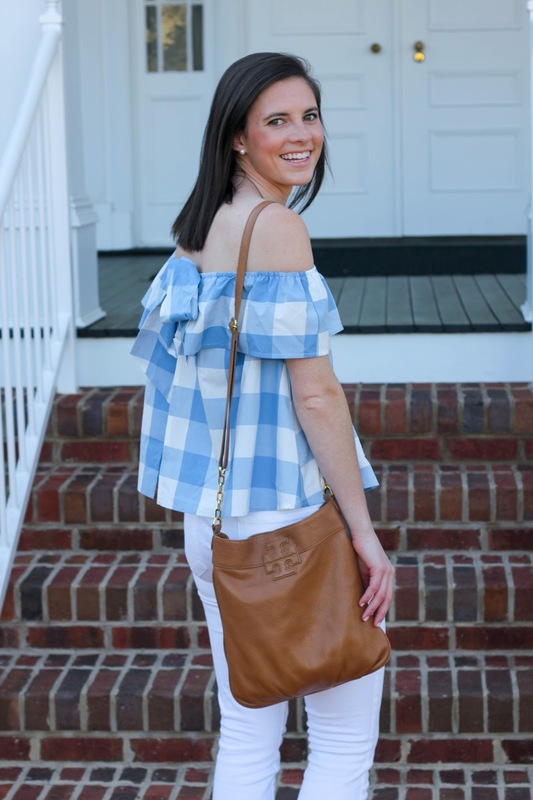 Considering I have and love some of their items I wanted to show y'all my favorite piece that is on sale, the Riley Gingham Ruffle Top. I have it in Delta Blue and Cotton Candy Pink and think the style of it is just the cutest thing. 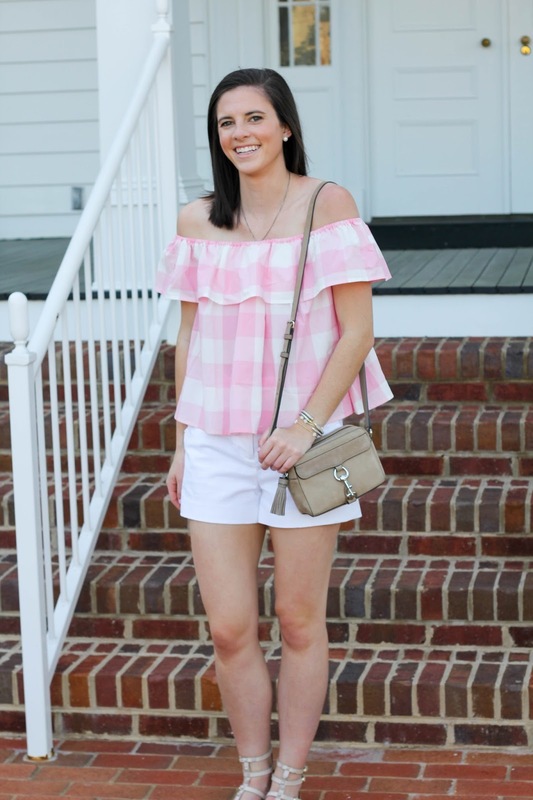 You may remember these outfits from this Spring on the blog but there's no reason not to share them again considering this top is currently almost $15 off. 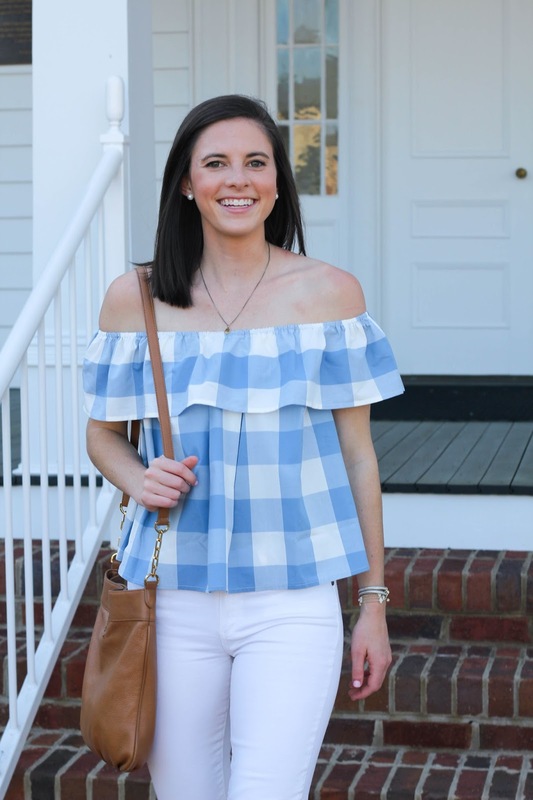 If gingham isn't really your style this same top is also offered in a stripe print in 4 different colors! With a cute bow tying it together in the back consider this a gift to yourself! 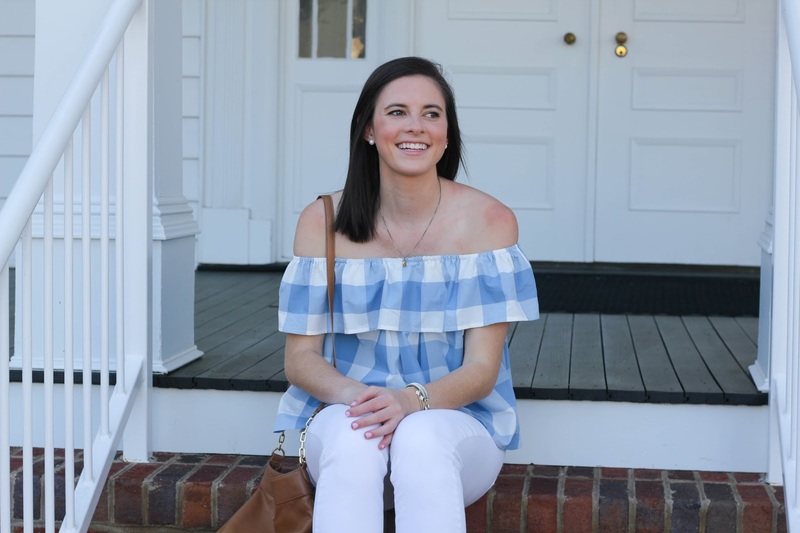 While you're thinking about pulling the trigger on this top be sure to look around the rest of the site to see all of the other amazing deals offered in the sale! Many of their dresses would be great for recruitment. 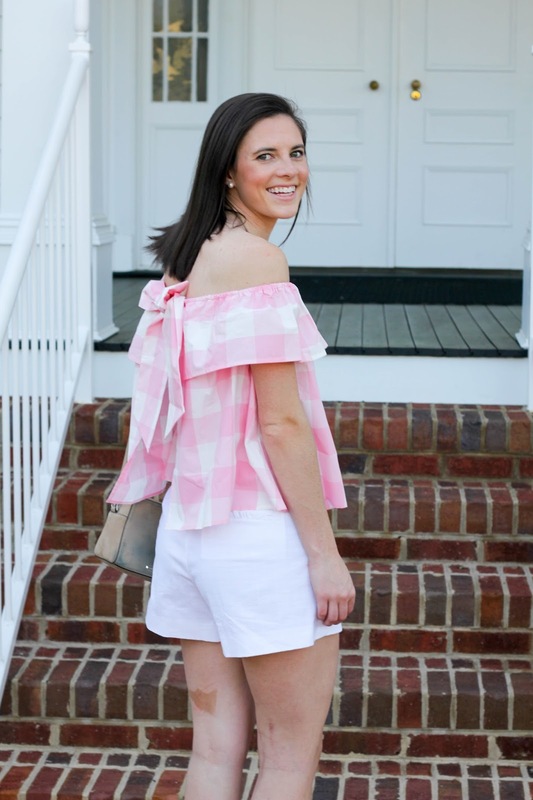 Even this ruffle bathing suit top that I've had and loved for a couple of years now is on sale! 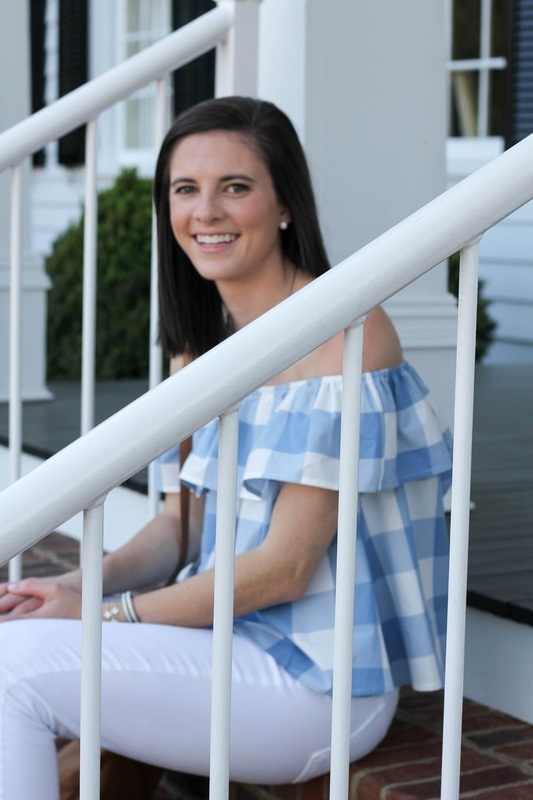 While y'all shop Lauren James' Site it's time for me to go back to chugging coffee and forcing myself to focus (productivity in the summer is a real challenge but we will tackle that next week)! Have a happy Friday! I always use the Pink Friday sale to stock up on tees and this year did me well, I got three new cute ones for under $30! I never knew about the Pink Friday sales! Oh, my poor wallet, haha! I love the Pink Friday sales! This year I got a rain jacket for $20 and shorts for $8! 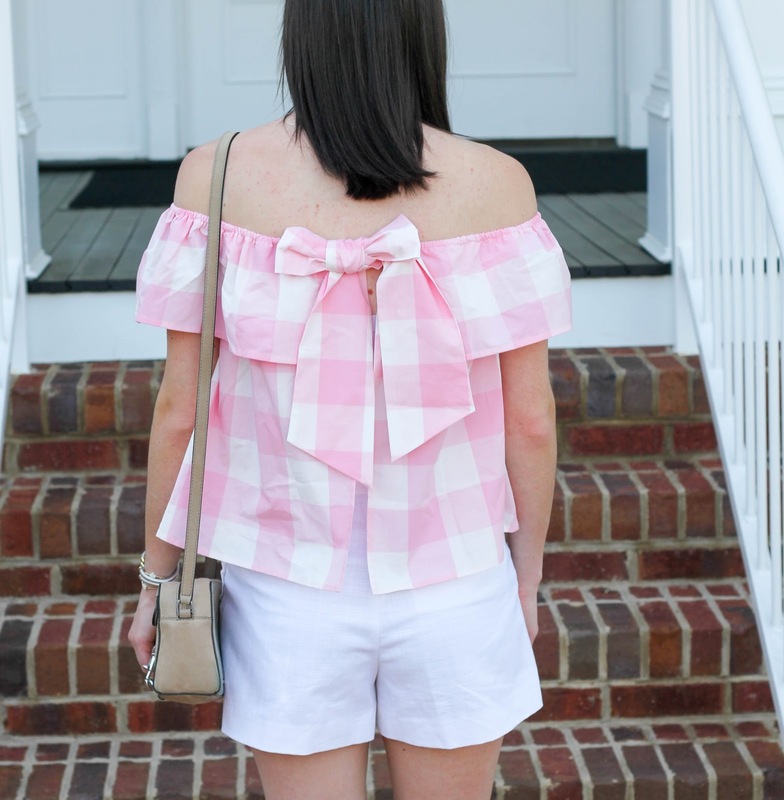 Those gingham tops are too cute! Love how you styled them too.